What Is the Difference Between Mailing Ground Mail or Air Mail? The United States Postal Service offers five classes, or services, of mail distribution based on size, shape, weight and delivery time. With two of those services, first-class and priority mail, the USPS handles items ranging from postcards to 70-pound packages. You can use both for documents, correspondence and packages weighing less than 13 ounces; the postal service considers anything larger or heavier to be priority mail. The similarities end, however, when you consider delivery time, cost and optional services. Business and personal correspondence such as greeting cards, large envelopes, letters, postcards and small packages weighing less than 13 ounces are usually sent by first-class mail. Priority mail is also an option for these first-class pieces, though it is used less often because it is more expensive and does not result in faster delivery times. Priority mail does offer additional benefits such as tracking and insurance though. Letters, envelopes and packages weighing between 13 ounces and 70 pounds, envelopes larger than 15 by 12 inches and tubes all fall under the priority mail class. How Many Stamps Should Be Put on a Manila Envelope? 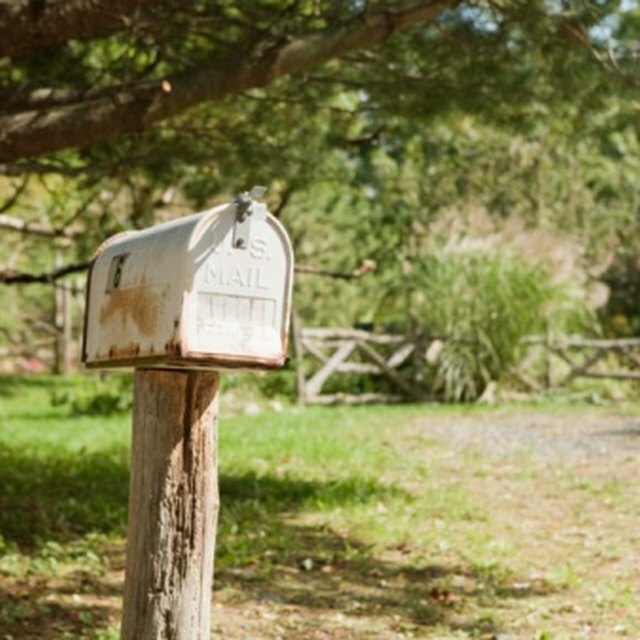 How Can I Expedite Sending a Letter to a Post Office Box? Priority mail can be sent in flat-rate containers as well. These range in size from 6-by-10-inch envelopes to 14-inch boxes. In some cases, these containers can save senders a lot of money compared to shipping fees based on weight. Both first-class and priority mail have a one- to three-day delivery window for domestic addresses. The postal zones traveled determine one-day, two-day or three-day priority mail delivery. First-class international delivery varies by destination, according to the postal service, while international priority mail to any of 180 countries is generally faster as it only takes six to 10 business days. Neither service carries a guaranteed delivery date or specific delivery time frame. The USPS periodically raises postal rates in line with inflation, but customers typically spend less for first-class delivery than priority mail, as the latter's fees are distance-based. As of publication, a 9-by-12-inch envelope weighing 13 ounces, mailed first-class in Pittsburgh on Wednesday afternoon, would arrive across Pennsylvania in Philadelphia on Saturday and cost the sender $3.52, according to the USPS Postage Calculator. That same envelope sent priority mail two-day would cost $7.15 using your own packaging or $6.70 using the priority mail envelope flat rate, as of publication. A 13-ounce package would cost $5.50 via first class, $7.15 with 2-day priority mail service or $7.20 priority mail small box flat rate box. These fee differences are even more pronounced when dealing with international shipping. Although priority mail costs more than first class, USPS includes free tracking, free pickup and a maximum of $50 in insurance at no charge. Forwarding and return services are also no-cost features. Special priority mail boxes, labels and envelopes are free at any post office or shipped free to your home or business when ordered online through the USPS Store. First-class mail options, such as forwarding, address correction and tracking, must all be purchased. Both services can include delivery confirmation, proof of mailing and protection against loss or damage at an extra cost.